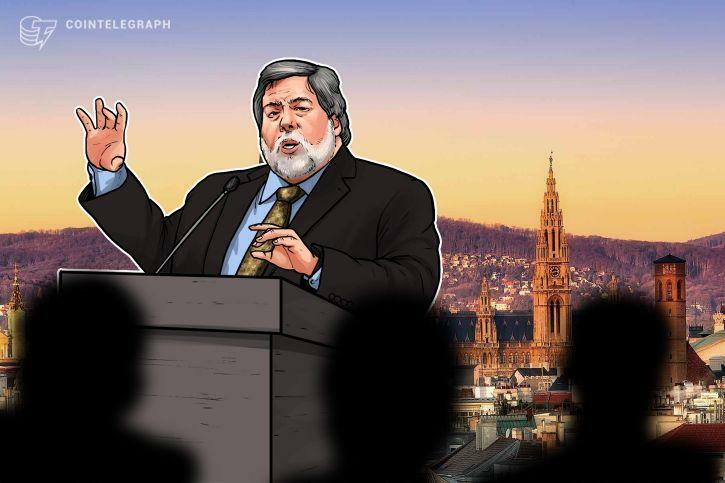 Apple’s co-founder Steve "Woz" Wozniak has commented positively about cryptocurrencies and blockchain technology in his opening speech at the WeAreDevelopers World Congress 2018 in Vienna, Austria. Wozniak explained his positive outlook on blockchain by the fact that there are many useful applications for the technology in a number of areas. This is not the first time that Steve Wozniak has made positive comments about cryptocurrencies and blockchain. At the "Money 20/20" conference in Las Vegas, back in October last year, he saidthat Bitcoin is better than gold and the US dollar. According to Wozniak, Bitcoin’s big advantage is that there is only a limited amount of coins, while fiat money, like the US dollar or euro, can simply be printed by banks.